The title of my talk was “The Value Of Using Wilderness Skills Closer To Home” . We live in an age where all of our needs, indoors or outdoors, can be met by gadgets and technology. Despite this – and maybe, partly as a result of this technological backdrop – bushcraft has become part of many people’s outdoor lives in recent years. There is a wealth of wilderness bushcraft skills and traditional knowledge, all of which is valuable while travelling the wild places of our planet. Even closer to home, however, where we are not far from phones, roads, re-supply or rescue, the skills and knowledge of wilderness bushcraft are valuable, both on a practical level as well as psychological one. This presentation is an exploration of the value of learning and using bushcraft skills which have proven their worth on wilderness expeditions but also much closer to home. Further I explore a range of benefits to using these skills in our everyday outdoor lives. In the second half of the 45-minute presentation I provide actionable recommendations as the skills which I feel are worth pursuing to form a solid base of skills and knowledge. There is also a short Q&A session towards the end. This video is also available to view on my YouTube channel. Thanks to the Bushcraft Show for having me as a main stage expert speaker. Many, many, many thanks to all those who attended my talk. It was a full house in the presentation tent (and very warm up on stage) and I really appreciate everyone who came to my talk. Grab your copy of my wilderness skills list: http://paulkirtley.co.uk/skills-list/ It’s FREE! As a Canadian, I consider Mors Kochansky a National Treasure for the experience and skills he maintains in Bushcraft which he has given to the world. I say “maintains”, because he has not grown stagnant in his skills, but rather, he continue to learn, as well as teach, by his experience. This is simply to tell you that I feel Brits may not be aware of your similarity to Mors, in that you also do live and breathe bush arts, and survival, and self-reliance, as Mors exudes, in your daily life. I am enthralled at the knowledge you have and at the multitude of gold nuggets that proceed from your every words, as you enlighten us in your abilities. Thank you. May more people learn from you as well, and be aware that you are more skilled than many people are aware of. Your humility and bold candour, though seemingly paradoxical, are simply you, making your wealth of abilities known. I sincerely hope this does not puff you up, or make you topple over with silly notions of grandeur, but I am most grateful for your free lessons which you provide on your blog. All the best, M H Lafond, a.k.a.”Buck”. I’ve only met Mors once but did very much enjoy my time with him. I’ll keep in doing what I do, in the hope it makes a positive impact. A superb presentation. Simple and yet informative as usual. Every time I watch , listen or read your ‘material’ I learn something else. The database of information you produce allows for easy an absorbtion of very relevant knowledge. Thanks Mark. As one of the longest standing, and most consistent, followers of this blog you stand in a better position than most to know how much material is buried on this site. I think this talk, as well as the skills-list which accompanies it, will help keep some of the topics and articles toward the surface. Great talk at the Bush Craft Show, really enjoyed it, yes very warm sitting at the front listening to you and trying to stay awake! going to watch the video again see if I have missed anything out. Looking at the emails it has been sent to, it looks as though you have now received it OK. Can you confirm this is the case? Got it. Seems the page went online (at least for me) shortly after my comment. Thanks very much anyhow. Do you also happen to have some place we can download that diagram you showed in the presentation for a quick and easy way to see an overview of the skills noted in the document? Good to know it’s all working properly now. I enjoyed your talk, very down to earth solid information. I imagine your audience were quite well versed in many of the things you had to say. However I think it is always a good investment to re-visit the things we have learned, if only to see where our skills can be improved. This applies to many things we do in life not just our wilderness skills. In my opinion you’ve earned your place on that stage. Thank you for all the information you make freely available. Good talk Paul, very inspirational! Thanks also for your skills list. I had a quick look yesterday at the end of a long day, but haven’t had time to properly consider it. One thing did jump out at me though. Knots for fishing. I personally don’t use blood knots when angling. The half blood knot will often fail, even sometimes when you you tuck the free end in twice. I rely on the grinner/uni knot for small hooks etc and the palomar for larger ones. Both very strong. The former needs wetting (ie spitting on) to cool when tightening or the friction will damage the monofil. Looking forward to a proper look at the list later. Personally I’m not the biggest fisherman in the world, altough I do enjoy both spinning and fly fishing. One of my team, Paul “Spoons” Nicholls, is a very keen angler and has looked over everything we teach with respect to angling. He was happy with the basics covered here, as was I. But as I say, everyone has their preferences. In every area covered, the skills list provides a base-line starting point for people wishing to build a foundation. You could run a very long way with each subject before running out of material to learn and experiences to gain. That said, I’m not closed minded. I’m going to revisit the knots you mention and have a chat with Spoons when I see him next month. I appreciate your input. Hi Paul, your blog is great and your wealth of knowledge is astounding! I thought I should say hello because I discovered your blog a few weeks ago and have been lurking ever since. I’ve listened to the majority of your podcasts so far, they keep me sane whilst I am at work. Thanks for your comments and welcome. It’ll be good to have you along for a course too. Let me know if you have any questions about courses or any of the information on this site. 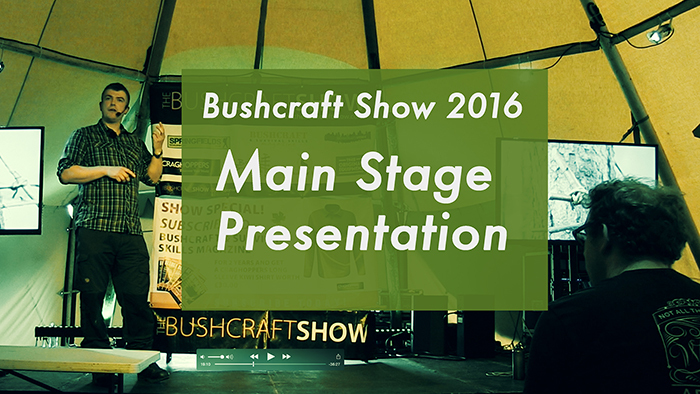 as i missed the bushcraft show this year, i am pleased you posted this video. i can tell alot of thought when into your presentation. in my experience, i find most bushcrafters complicate there skills by buying all the gear, and not being able to carry there kit far from there transport. for instance the west highland way and the Northumberland way. both are totally different. from sea foraging to snow shelters. If I go to that link in Firefox (I’d never been to it before, so I doubt it’s a cache thing) I get the “coming soon” blurb. If I hard refresh (ctrl-F5, which clears the cache and grabs direct from source) I *still* get the holding page. If I go to it in I.E I get the holding page, but on hard refresh, I get the “click the link to give me your details” page, and can then get the PDF. Again, I’ve never been to that page in I.E (I don’t use I.E. for anything except exceptions like this….). Hopefully that description may help others if I’m not the only one seeing this…. I have the PDF now, so all is good. Thank you very much Paul! Thanks for the explanation above. It’s doubly odd because the holding page text was actually deleted from the CMS by me a couple of weeks ago when I put a 301 redirect in place to the landing page. So even if the redirect does not work or is somehow blocked, you should only see a blank page. That is quite crazy! I’m not even going out through a proxy (unless the ISP has a transparent caching one that I don’t know about) It’s on a business account so they shouldn’t have….. I enjoyed your talk at the Bushcraft Show; I do not was there for some reasons 🙂 but I really appreciated the content. You have talked about skills to practice close to home and it is very realistic and usefull to do, also I learned something else from you again…. Again I can see your great knowledge! Many thanks for sharing me your talk at the show .